Deepika Padukone and Ranveer Singh’s wedding, held at the Villa del Balbianello on Lake Como in Italy, was an extremely private a dreamy affair. Deepika Padukone and Ranveer Singh have dated for six years and have starred in three films together – Ram Leela, Bajirao Mastani and Padmaavat. The grand Deep-Veer wedding took place as per Konkani rituals, and a second wedding per Sindhi rituals was held mid of November. The wedding, was an extremely private affair with only family and close friends attending – combined, the bride and groom side added upto 45 people only. 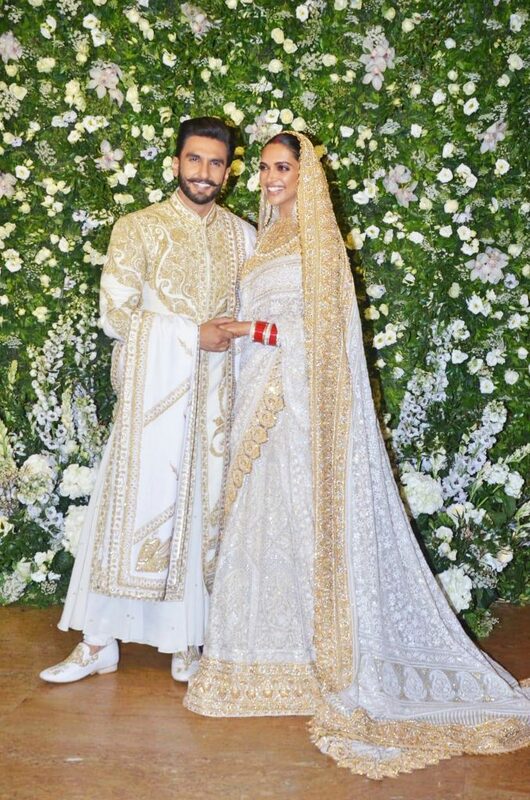 Deepika’s parents Ujwala and Prakash Padukone and sister Anisha led the bride’s team, and the baaraat included Ranveer Singh’s parents and sister Ritika. Pre-wedding ceremonies included a mehendi and a sangeet, where Deepika Padukone had an emotional moment as Shubha Mudgal sang a thumri and the lovely bride was then comforted by Ranveer Singh. The ever-energetic Ranveer also played the dhol at his own sangeet, sang and danced to the song Tu Ne Maari Entriyaan from his film Gunday, and had “DeepVeer” drawn onto his hand during the mehendi ceremony. During the engagement ceremony, Ranveer went down on his knees asking for Deepika’s hand. After they exchanged rings, he gave a speech that made Deepika emotional. Deepika got emotional during the last phera of her Sindhi style wedding- Anand Karaj ceremony, both Deepika and her father broke down, shared an emotional hug, following which Ranveer hugged them both and promised him that he would take care of Deepika. Bride’s father and former badminton player Prakash Padukone welcomed Ranveer in his family by giving him a coconut. The security arrangements for the Bollywood super-couple were nothing short of a world leaders meeting. From special wrist bands to patrolling boats to no mobile phone cameras, everything had been done to ensure the security of the wedding venues in Italy. After the wedding festivities in Italy, the newly-weds returned to India and their first public appearance was on the night of their Bengaluru reception. Deepika and Ranveer are to host another grand reception for their celebrity friends in Mumbai. The couple have asked that guests donate to Deepika’s The Live Love Laugh Foundation in lieu of any wedding gifts. We wish the dashing couple a happy married life! 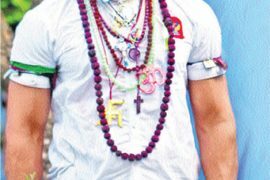 What is Aamir Khan’s P.K. all about?